Traveling in Mindanao at the bottom of the Philippines this month, I decided to take a shortcut through the mountains to the west coast of the island where I heard there was good scuba diving. 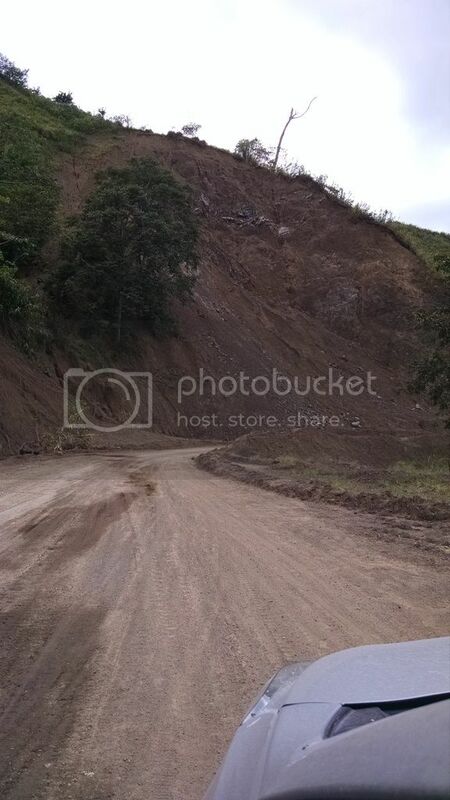 The road was in terrible shape due to massive landslides that came with typhoon rains weeks earlier. The raging, muddy rivers from the storm had killed several and displaced thousands in coastal cities. As I traveled the shortcut, I was shocked to see that what should have been dense tropical forest had been stripped to the last match stick. Along the road was an army of the poorest of the poor with machetes splitting what little wood was left into kindling to sell to people in the cities for cooking. The only untouched forest was in the absolutely most inaccessible places on mountain sides that were straight up and down. But this was no deterrent to the gang of men I came upon at a bend in the road who were lowering logs off a cliffside onto a truck. I came upon more of these trucks, already loaded; they were parked on the side of the road, seemingly broken down. When I came to a small town where the steep mountains turned into a river plain I learned why the trucks weren’t moving. 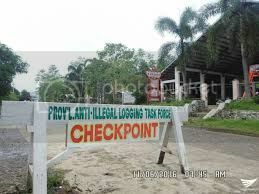 There was a checkpoint for illegal logging. The trucks had to wait for the enforcement officers to go home for the day, or pay them off in the cover of darkness. When I arrived at my hotel, I read about dozens of critically endangered species here in Mindanao due to the deforestation. From the Philippine eagle, crocodile and cockatoo to everything and anything else that lived in these forests, biodiversity has been devastated. Thinking about so much loss kept me up all night. 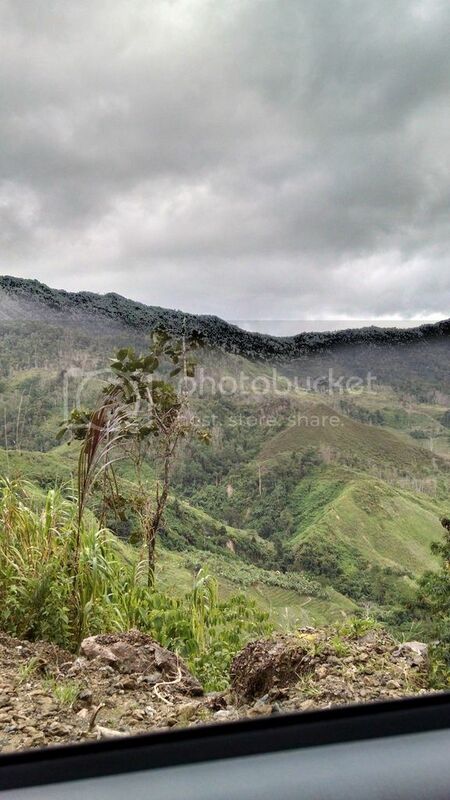 Every inch of the flat land in Mindanao was long ago converted to grow rice and bananas. Now they are working on every last piece of forest, even if a mountain goat couldn’t get to it. I’ve met some of the nicest and friendliest people in the Philippines. But how can the collective intelligence of the country allow this massive deforestation to continue? I learned when there is talk of reforestation, it doesn’t mean restoring the natural tropical forest. It’s more akin to planting a few trees in an orchard-type grid, something I saw a little of also. And, oh, those landslides? 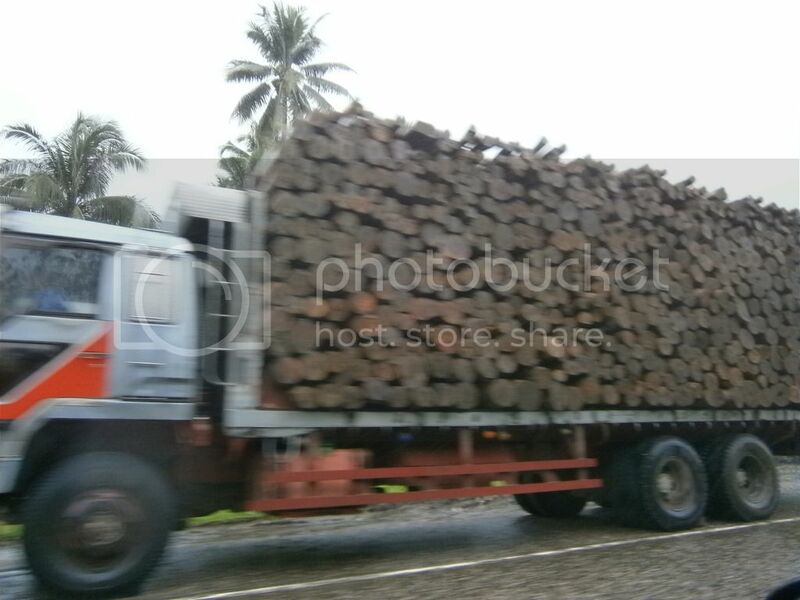 Environmentalists in the Philippines were blaming them on the deforestation … ya think? I also read where a Filipino Senator said that the deforestation had nothing to do with it. This gives some insight into how hopeless this situation may be – when the people “at the top” can deny there’s a problem. It’s disheartening, particularly thinking of how little people in the United States know of the extent of devastation here and throughout the world. Yet, when the massive populations of poor people in countries such as the Philippines reach a crisis point, where do they head? Often to the perceived “lifeboat of the world,” the U.S.
With 7.4 billion people on the planet, many seeking safe harbor, the U.S. no longer can meet the need. People need to stay where they are and fix their own problems. Allowing the poor to come to the U.S. or the rich who have made their money by stripping bare the forests of Mindanao, Mexico or Malaysia isn’t going to solve a thing. It remains way past time for a moratorium on immigration.